Taking energy from the earth for all your heating and hot water. Ground Source Heat Pumps (GSHP) are ideal for rural businesses, schools and organisations with land available for heat extraction. Thanks to the government’s non-domestic Renewable Heat Incentive, a Ground Source Heat Pump will pay for itself AND earn you an income for 20 years. The Renewable Heat Incentive rewards your business by paying you for using low carbon resources. RHI payments are calculated based on the amount of heat you use. Typically the cost of installing a Ground Source Heat Pump is paid off by the incentive in less than five years. Ground Source Heat Pumps installed by EnergyMyWay are generating returns averaging 20% p.a. for 20 years. Costs and incomes are based on a 700 square meter property heated to 21° for 260 days a year using an existing boiler that is 80% efficient. 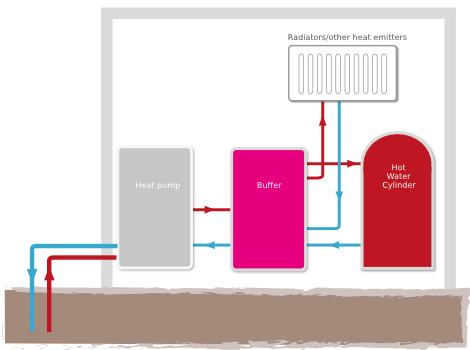 Ground Source Heat Pumps use a heat exchanger via a closed loop or bore hole system to generate heat energy for your property. This discrete, low maintenance technology extracts heat from the ground and provides a reliable, consistent source of heating and hot water 365 days a year.  Is my business property suitable? Modern Ground Source Heat Pumps require less land than their predecessors, with bore hole systems becoming increasingly popular. Well-insulated properties are most suitable for Ground Source Heat Pumps, they integrate well with underfloor heating systems. People with older, less well-insulated properties may want to investigate Biomass Boilers as an alternative Renewable Energy heating system. Well-designed and installed by experts, a Ground Source Heat Pump will operate highly efficiently with very little involvement for the owner and minimal need for maintenance. We only recommend quality products from manufacturers such as Dimplex and Nibe, that we have tested and have been proven to perform consistently over the long-term. Our engineers and designers are experts in the complete range of renewable energy technologies with a track record of delivering the best performance, and the highest returns, from the products we install. We are preferred partners for leading Ground Source Heat Pump manufacturers; Dimplex and Nibe.